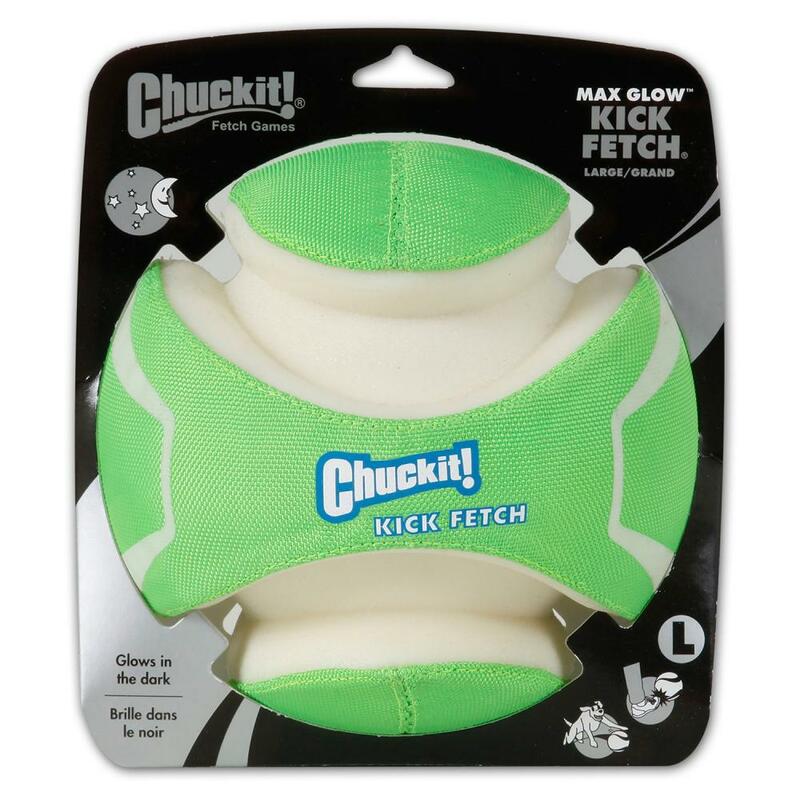 Made from a unique mixture of durable canvas, rubber and foam the anti-burst design makes Kick Fetch balls perfect for even the toughest of dogs. The groove construction makes it easy for dogs to pick up and bring back. Vibrant colours, this ball features high visibility glow in the dark material which makes it easy to track at night. There are currently no questions for Chuckit! 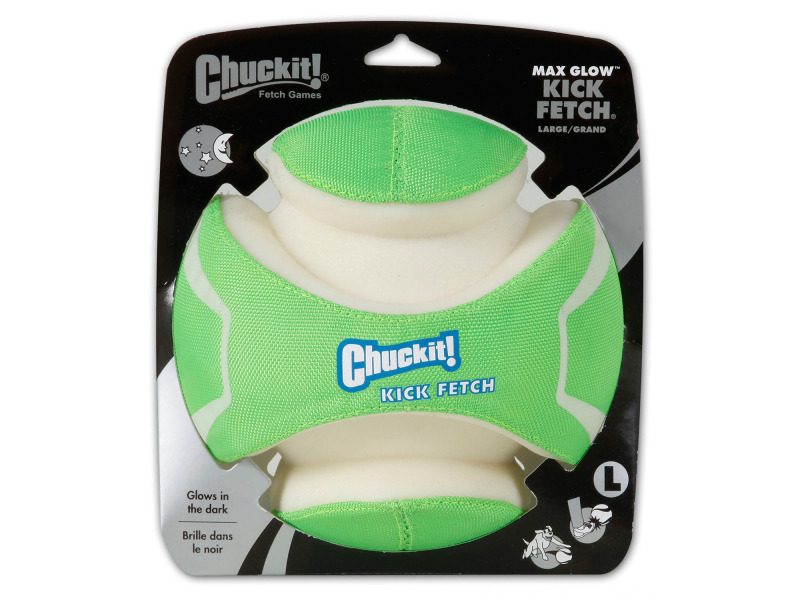 Max Glow Kick Fetch - be the first to ask one!